Last we heard, you were being paid to run into burning buildings. What are you up to nowadays? 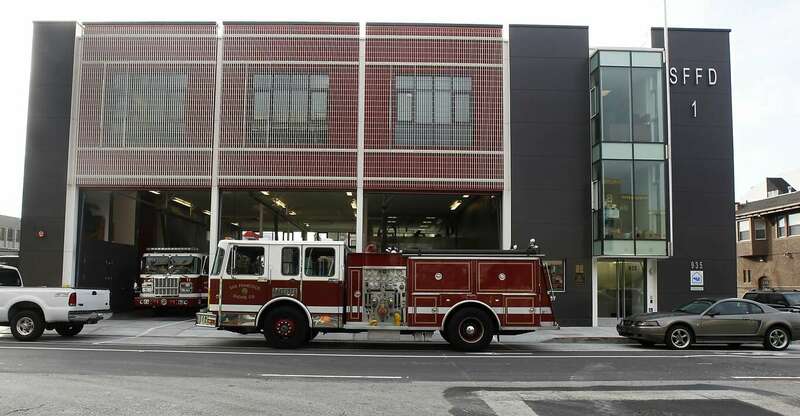 I am presently captain of Heavy Rescue 1 for the San Francisco Fire Department, and captain of the busiest fire station in the nation: Fire Station 1 on Folsom Street in the SOMA area. Last watch, we went to a four-alarm fire in the Mission and pulled out a victim on the top floor. On any given day our station runs more than 60 calls between the three apparatus. Man, I love this job! I am in my 25th year and l have enjoyed all of it. Do you still throw it around a little? At present my youngest son, Kasen, has requested to play lacrosse so I have begun coaching again in Petaluma in the U13 rookie team. 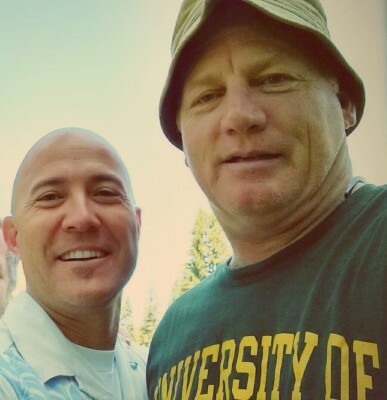 I look forward to matching up against HSU alum and former coach and teammate Judge Taylor and his Novato U13 team in March. I also get to follow the lacrosse career of my ‘little’ godson Oscar ‘U-haul’ Mahoney, son of co-founder John ‘LSMFT’ Mahoney. Why did you choose HSU? Do you remember the moment when you and John Mahoney decided to start a team? Humboldt became a viable option for me upon hearing of their oceanography program — see how well that worked out — and that my good friend John Mahoney was going there for their engineering or archaeology or French Foreign Legionnaire painting program. One rainy night in the spring of 1983, while painting 2e Regiment Etranger de Parachutistes soldiers with John in his Sunset Hall dorm room, we thought “It sure would be great if we had a reason to travel out of Humboldt…” But the truth is we were throwing a lacrosse ball around with John’s roommate Keith Eddy — a future defenseman the following year — near his dorm and a few people starting asking us if there was a lacrosse team. 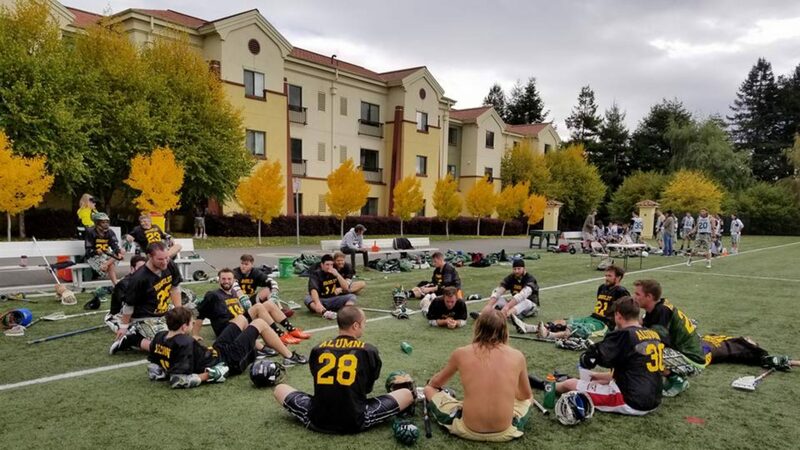 So I started getting this crazy idea that I would start a lacrosse team in Humboldt. Did you ever foresee yourself organizing and coaching a team your freshman year in college? What was the best part about that inaugural season? The best moment that first year had to be rolling out of Keith Eddy’s VW bus on a Friday evening at UC Berkeley and having our first game on their turf field with our 14 players. Mark Wells scored the first goal, ripping one into the upper right corner. Steve Smith blasting through one of their players, leaving a ‘yard sale’ of equipment in the middle of the field. Quick goals by John “All Right Man” Mason, Jim “Guerilla” Crowley and Mahoney gave us a lead at half time. However, their numbers caught up to us and they beat us by a goal in the end. We lost but it didn’t matter — we had a team and we were all smiling. And brooding Crowley was quickly appeased with a sponsored dinner/drinks by my father in North Beach at New Pisa restaurant. All was better the next day with a victory at Stanford. I know why the club team wasn’t called the Lumberjacks, but why was it called “the Hogs?” Was there a vote or was it an executive decision? The moment was sitting around with Steve Smith and Pete Gallus and they were drinking some Henry Weinhard’s pale ales and trying to think of a name for our team. At some point, Steve noticed the boar on the beer bottle and in his best imitation of Carl Spackler from Caddyshack stated “You know, we should be named the Humboldt Hogs and kill all the other Varmint Cong. We will fall back on our superior firepower and superior intelligence to dominate the league.” Pete Gallus and Brock agreed and you pretty much can’t say no once the U-Haul Brothers say it is so. Game over, our name would be the Humboldt Hogs. James Kircher and John Mahoney in 2014 — golfing trip. Lacrosse — thanks to you and Mahoney — has been at HSU for more than 30 years. Does that surprise you? It always surprises me that it is still around. It was touch and go during some of the early years due to not having a legitimate head coach like Tony (Silvaggio) around. His presence helps solidify this team. There is always the issue of money from one year to the next and I know how difficult that can be. What is it about the sport you enjoy the most?